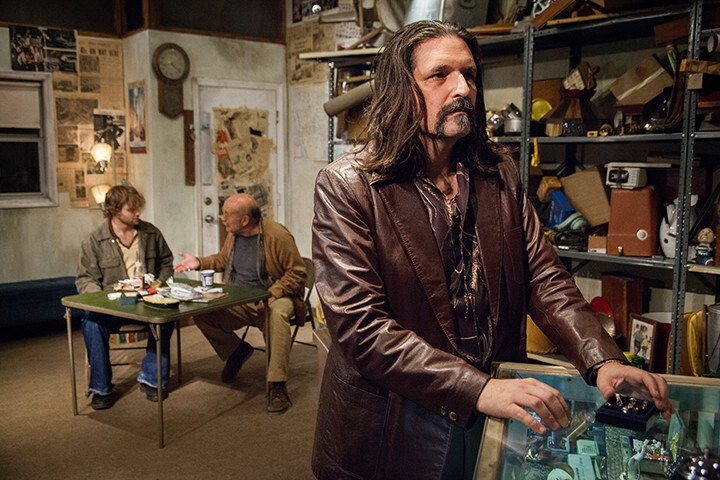 The only American buffalo in David Mamet's tough-talking play of the same name is a rare valuable nickel that's never seen on stage, but serves as a MacGuffin that motivates three men to plot and bicker and ultimately betray each other. American Buffalo, first staged in 1975 and later made into a film starring Dustin Hoffman and Dennis Franz, is classic Mamet: a song of the pathos and black comedy found in the scuffling grifts of the American underclass, sung in a startlingly expressive poetry of mutters, shouts and profanity. 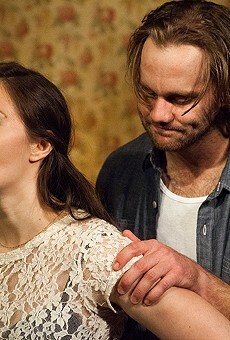 Thursday is the opening night of a three-week run of American Buffalo at Edgewood-based Theater on the Edge, their second production after spring's well-received Venus in Fur. Allan Whitehead and Marco and Samantha DiGeorge, founders of Theater on the Edge, say their mission is to "explore the struggles of the human condition and create thought-provoking conversation"; with these two shows they've proven their commitment to that ideal.